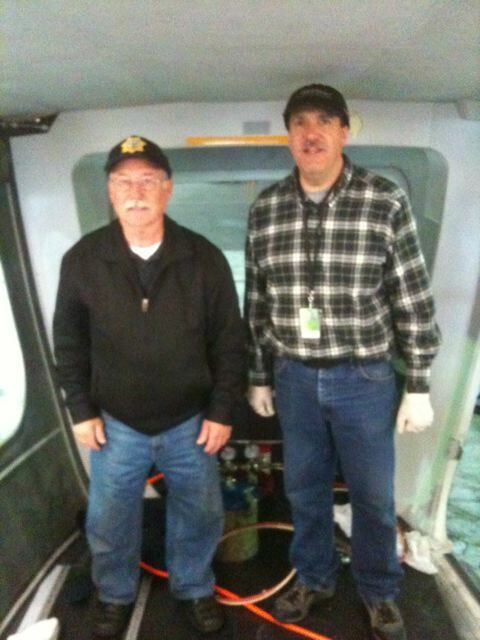 Victor Giotto (left) and Marco (right) from Giottos Aircraft Interiors arrived today with new carpet for Eureka. 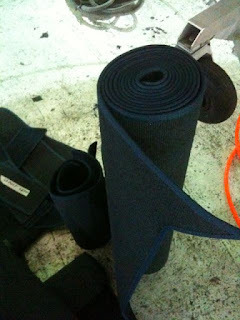 As salesman might say, our old carpet had seen many feet and had been "well loved". Entering our 4th season, we look forward to starting off with an interior refresh.